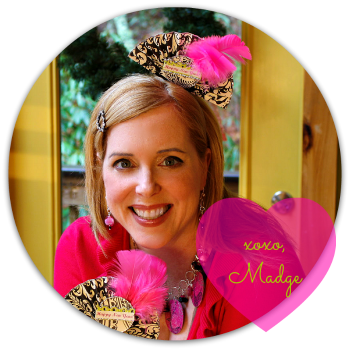 The Impatient Crafter : To Mom, with Love: Free Mother's Day Card, Recipe and Jewelry Project! To Mom, with Love: Free Mother's Day Card, Recipe and Jewelry Project! Mother's Day is right around the corner and if you're struggling with what to do to make mom feel special, I've got some ideas for you! 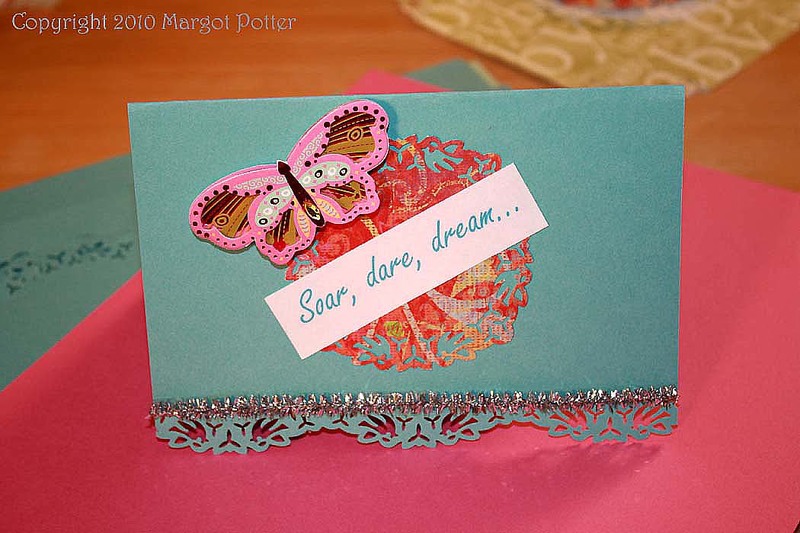 Here is a card I made using the fabulous Blue Hills Studio Magnetic Multi-Shaper punch, a recipe for a healthy and delicious chicken dinner and a jewelry design that's sure to set her heart a flutter. Printed elements: "Soar, dare, dream..." "Thank you for giving me wings." turquoise Freestyle Script font 36pt. 1. Select area of paper you want to feature. Using the square template on the punch, create a small square. 2. Cut cardstock on paper cutter to 5.5"x7.75". 3. Fold card in center and crease edge with bone folder. 4. Measure center of card and use edge punch to create decorative edge, repeat on both sides of center punch. 5. Create the text and print. 6. Use paper cutter to cut out text leaving a small border. 7. Adhere square to center of card front using glue runner. 8. Adhere 'Soar, dare, dream...' across square using glue runner and 'Thank you for giving me wings.' to center inside of card with glue runner. 9. Adhere butterfly to top left edge of square. 10. Cut tinsel to fit width of card. Cut tape to fit the width of the tinsel. Adhere tinsel above punched edge. Use food processor to crush almonds and garlic. Place in a second bowl. 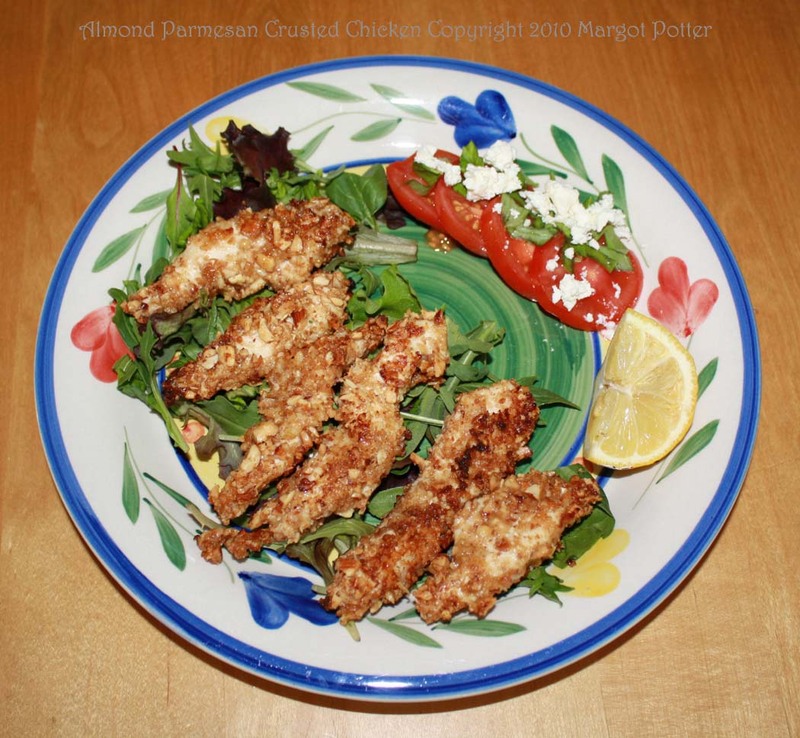 Add parmesan cheese and whole wheat bread crumbs and blend with fork. Dip chicken strips into olive oil and coat with crust mix. Bake on a cookie sheet at 400 degrees for about 15-20 minutes until brown and crispy, turning midway to crisp both sides. Serve on a bed of Spring Greens with a side of sliced Campari tomatoes sprinkled with feta cheese and basil and a light olive oil and balsamic vinagrette. Add a side of asparagus with lemon and butter substitute spray. 1. 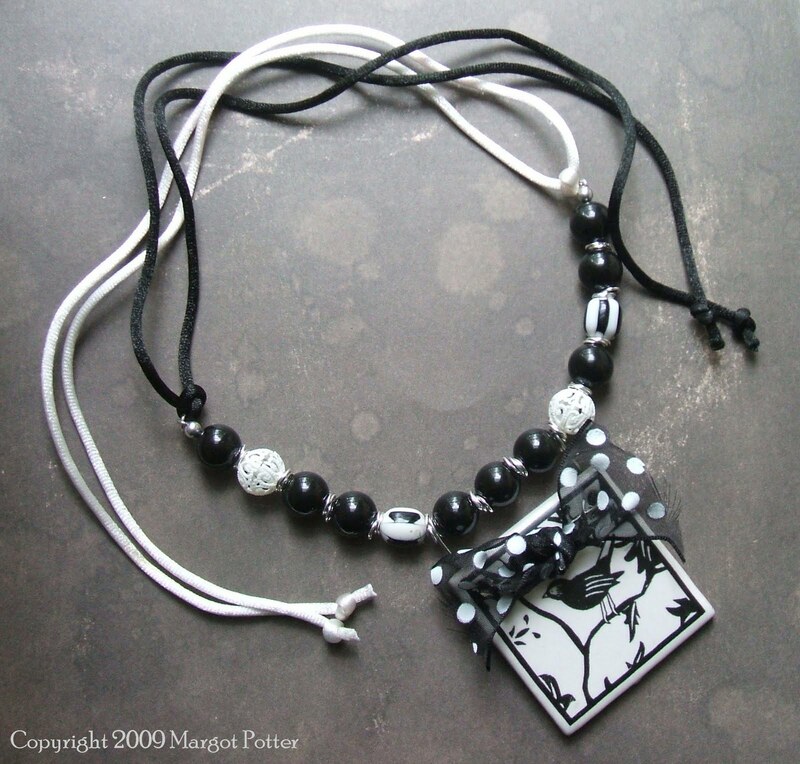 (If you can't find this specific pendant at a local craft chain, substitute a different bird themed pendant and suspend it from the center of the beaded segment on a jump ring and tie ribbon to front of ring.) This pendant has two holes drilled in the front. Thread a 5" segment of wire into the right hole, leaving a little more than 1" exposed on one end. Thread the wire into the left front of pendant. Thread wire across front of pendant and into the right hole. Bend wires flush to back of pendant. Use round nose pliers to create loops at the top of the wires, the wire ends with loops should each measure 1" in length, cut off excess wire. 2. Attach a Scrimp end to a 6" strand of 49 strand wire. Thread the beads on in the following order: pearl, 2 jump rings, pearl, 3 jump rings, striped bead, 3 jump rings, filigree bead, 3 jump rings, loop at top left of pendant, pearl, 3JR, pearl, 3JR, pearl, loop at top right of pendant, 3JR, striped bead, 3JR, pearl, 3JR, pearl, 3JR, filigree, 3JR, pearl. Thread wire end into Scrimp and attach. 3. Tie 3" ribbon bow at front of pendant around wired section. 4. Attach a jump ring to the Scrimp on each side of the beaded segments. 5. Tie a 25" black satin cord through Scrimp at the center of the cord, repeat on opposite side with white cord. Tie a knot in both ends of each satin cord. Cut off any excess cord with scissors. Note: Several of the products featured in the craft projects in this post were donated to the designer by the manufacturers. Wow, you've really got us covered for Mother's Day. Thank you! I've never seen those magnetic punches. What a great idea! They're pricey but it looks like you get several designs with each which makes them a better value. Very pretty card! Love the border punch and that colorful butterfly!